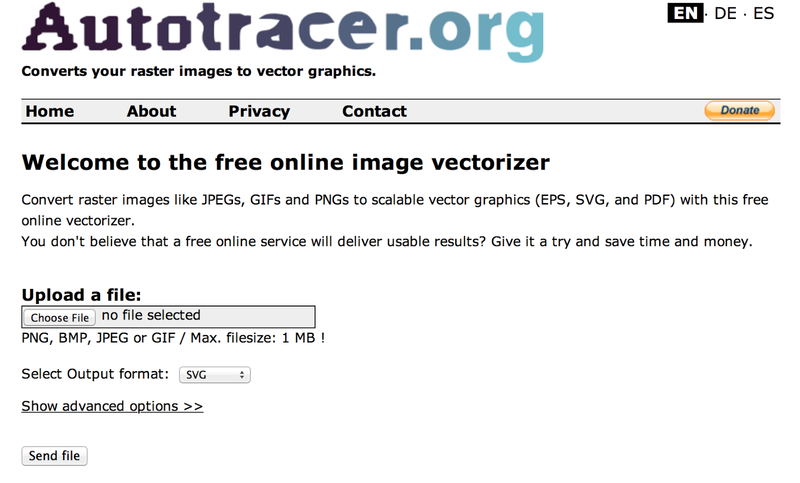 You can use this Autotracer to convert raster images into vector graphics. This process is called tracing or vectorization. Tracing can be done by hand or you can use a tool which does this cumbersome job automatically. But usually some post-processing is necessary. Most auto-tracing tools cost a lot of money, if you do not need them regularly this tool is an option.